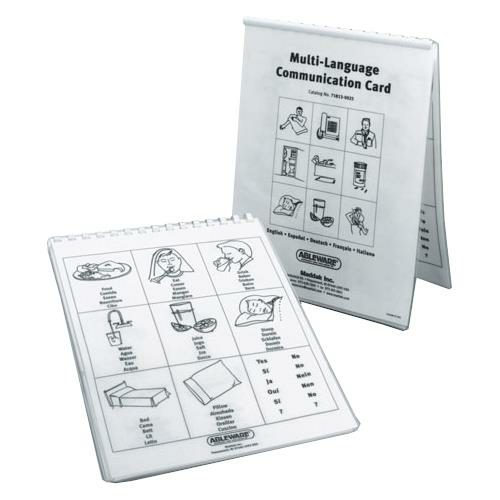 Maddak Multi Language Communication Cards features 5 different picture cards with symbolic representations of familiar items and conditions in 5 different languages. An easy to use format helps to evaluate whether a more sophisticated and expanded communication system is needed. It is ideal for individuals who struggle to effectively communicate their needs, these communication cards make verbalization and explanation easier. The cards can also be used in picture-symbol identification and vocabulary building for those with learning disabilities.